As expected, Apple has just taken the wraps off the iPad mini 3, and whilst the smaller of Apple’s tablets hasn’t been given all that much attention during the build-up to today’s events, we can now sit back and assess some of the many new features that have been bundled into this refresh. There is, as also suspected, a Touch ID fingerprint sensor, and with a number of other quirks to be enjoyed, we’ve got the full run-down after the leap. Following the successful roll-out of Touch ID sensor with last year’s iPhone 5s and the follow-up iPhone 6 and 6 Plus, Apple has decided to broaden the fingerprint sensor’s reach to the tablet side of the iOS family. Users will not only be able to use Touch ID for lock screen security, but with Apple having allowed third parties to integrate the still-fledgling hardware into their apps, iPad mini 3 users will enjoy largely the same functionality as those on iPhone 6 and iPhone 6 Plus. 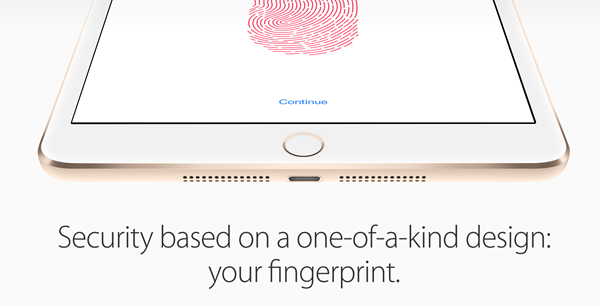 Apple Pay online payments authentication via Touch ID are also supported. The profile and design of the new iPad mini 3 is same as before, clocking in at 7.5mm thin. Regarding the processor that powers the new iPad mini 3, it’s highly likely that it might come as a disappointed to some, as Apple hasn’t bumped up the processor in any aspect. It still carries the same 64-bit A7 chip with M7 motion coprocessor from last year. 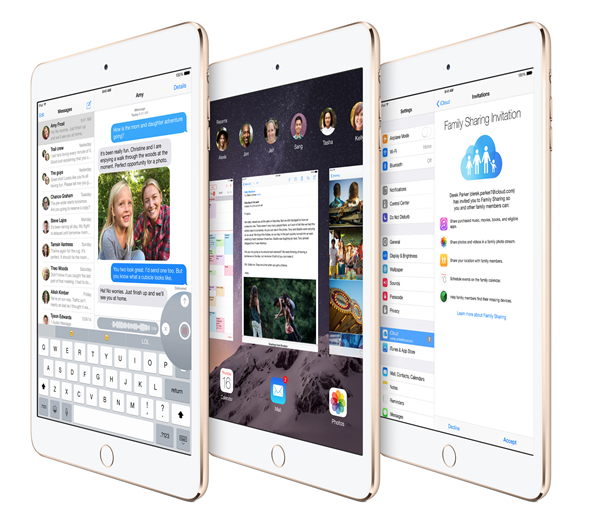 Although Apple made a justified song and dance about the so-called Retina HD displays of its new iPhones last month, the iPad mini 3 misses out on such grandiose improvements. With that said, the 2048 x 1536 resolution of the new smaller slate – identical to the original Retina iPad mini – is not to be baulked at, and you’ll still be able to enjoy your favorite games, apps, and general iOS 8 experience in crisp, clear quality. Like the iPad Air 2, the display is now laminated and is now 56% less reflective. 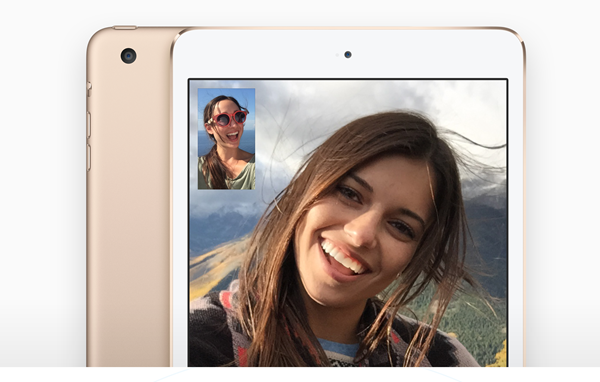 The iPad mini 3 includes an 5-megapixel rear-facing camera, and a front-facing FaceTime HD camera for video calling. 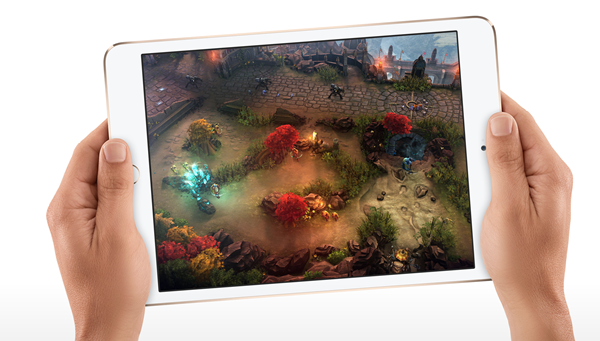 The iPad mini 3 will launch with 16, 64 and 128GB storage options. 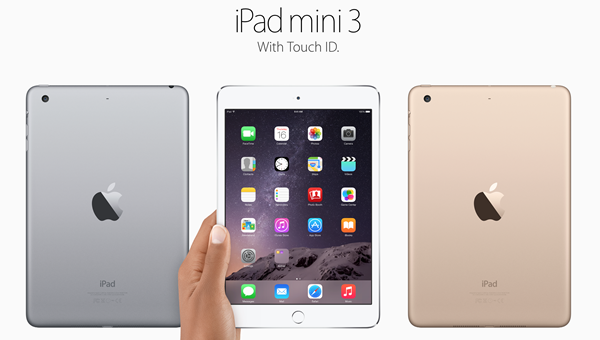 The new iPad mini 3 is available in three colors: Space Gray, Silver and Gold. Pre-orders begin on October 17. 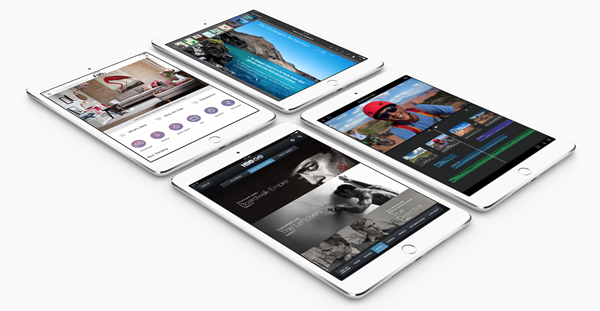 The iPad mini 3 will launch next week on Friday, October 24th in the United States, United Kingdom, and several other nations before gradually rolling out to other markets thereafter. How incredibly underwhelming! Glad my iPhone 6 is awesome but I won’t be following its purchase up with an iPad or mini that’s for sure! happy for me. my 2 ipad mini 2 are saved from being outdated !! STOP DELETING THE CORRECTIONS!!! MINE, AND OTHERS’! Write well, or take the criticism! What game is that in those pictures above?